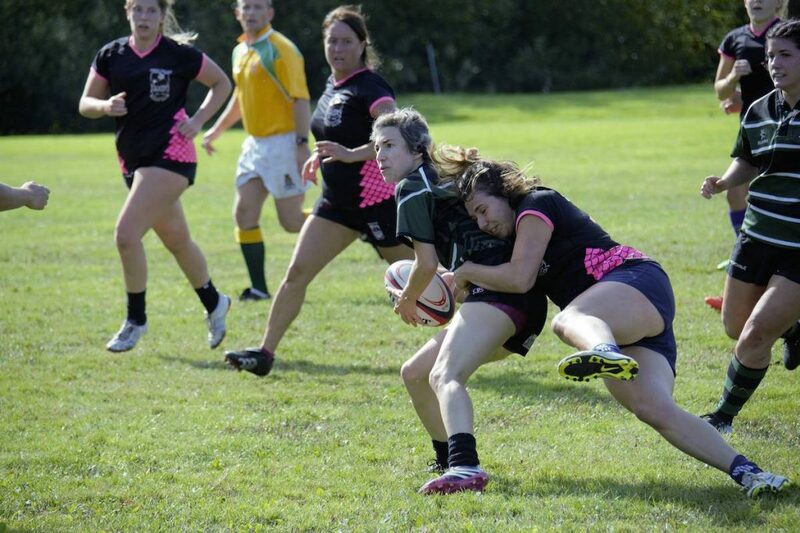 The home opener for the senior teams of the Comox Valley Kickers Rugby Club was a mixed affair on Saturday. The ladies team started the day with a decisive win over an over-matched and under-prepared Cowichan team. The women had already chalked up the match with a win, as the opposing team arrived with a short roster. Comox loaned five players to Cowichan and played an impressive match, coming out on top 55-10. Natalie Nguyen had an impressive game at scrum half, and the always solid Paula Moore, Kristianna Bouwers, Dana Beirnes and Karlie MacFarlane put some points on the board. Player/coach Aimee Burley and prop Jenn Lund gained some hard yards throughout the game in their signature ruck and roll style. “We have been on the receiving end of these types of games so many times that it’s awesome to see the growth and we are excited to see how we match up against some of the solid mainland teams,” Burley said. The men on the other hand were the ones on the back foot. The first 10 minutes of the game was a frantic hard scrabble of a game with Cowichan pressing the attack and Comox standing firm on defence. When Comox did get the ball in hand they were able to relieve the pressure well and advance the ball across midfield only to spill the ball forward and be under pressure again from the hard-charging Cowichan side. Cowichan was eventually able to capitalize on their opportunity, putting two quick tries across the line. After those two tries Comox was able to regroup and again mount some successful forays into Cowichan territory, only to be rebuffed by an experienced and stout defence. The senior teams have a bye week, and then some time off for turkey, and some time to rest up and get back to the fall schedule with the men taking on Bayside from Surrey in Cowichan, and the women travelling to play the Brit-Lions in Delta. Both games are Oct. 14. On Sunday, the talented junior girls side travelled to Cowichan for an all-island jamboree and secured wins in five of the six matches played. Coaches Steve Fagan and Geoff Postle were impressed with the team’s rucking and support, with many players putting points on the board. On Saturday, Sept.30, the junior girls continue to fundraise for their upcoming Kamloops tournament with a bottle drive from 9 a.m.-2 p.m. at the Return-it Depot on Puntledge Road in Courtenay. Message cvkickersjrrugbyops@gmail.com for pick up. The junior girls host Nanaimo and Cowichan at Vanier on Sunday, Oct.1.